"Skeletons in the closet can expose a deadly past. Be careful what you search for"
Former Lloyds of London financial whizz Charles Abernathy, the new owner and renovator of Barnesdale Manor, a grand estate located in the serene countryside just outside Bangalow, NSW, Australia, is stunned when he receives a registered letter suggesting he 'looks into things of the past'. The recluse Abernathy is even more miffed about the suggestion he should hold a scavenger hunt at Barnesdale Manor in order to reveal these 'things of the past'. Although he does not know many people in the village of Bangalow, he decides to proceed as it will give him an opportunity to showcase his renovated Manor. But when the guests become frustrated with the not being able to find all the items in the scavenger hunt, Abernathy gives them the ultimate clue that leads his guests to find a skeleton in the cellar. One skeleton is bad enough but when the dead body of one of the guests is also found, the police must be called. Did Charles Abernathy know of the skeleton or is he the murderer playing a silly game. One thing is for sure, to discover things of the past, Detective Jack Creed needs to be called in to solve another international mystery & crime. 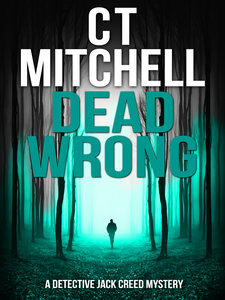 Mystery novel Australian author C T Mitchell delivers another police procedural masterpiece featuring Detective Jack Creed who is up to his armpits with a myriad of suspects including a socialite real estate agent, a post master with a suspect past and a town of gossiping back stabbers - all of which makes this whodunit even more intriguing!